Today was quite the adventure – two flats and a KOM! 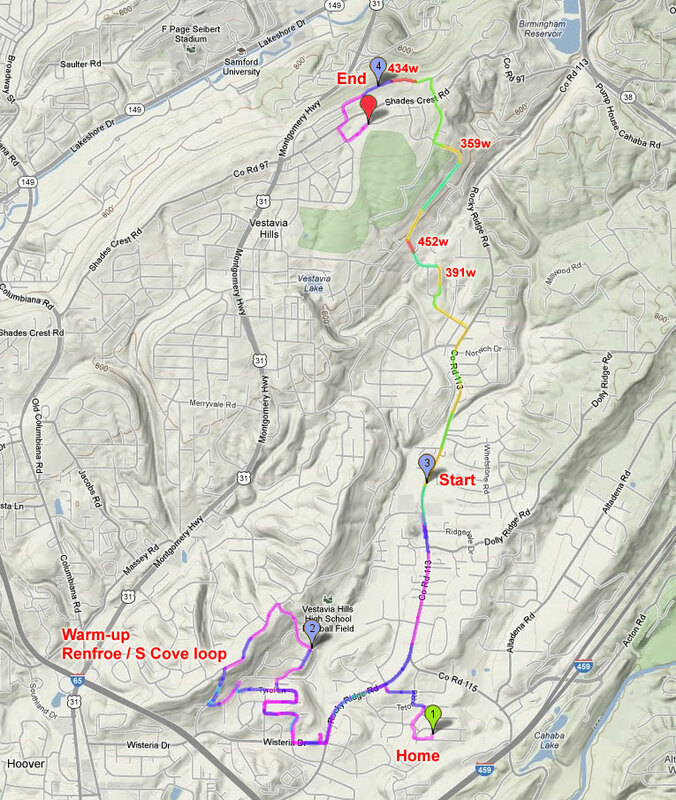 The last week of the Strava Shoot-out competition was the Rocky Ridge – Vestavia Dr climb. With over 700 vertical feet of elevation difference and nearly 800 feet total gain (three small downhills), this is one of the biggest climbs you can do in the immediate Birmingham area (Double Oak and Pine Mountain both have more elevation gain, but they are both quite a ways out of town). This climb is really close to me, starting less than two miles from my front door! So when Mark Fisher put in a spectacular effort to take the KOM from me for the last week of the Fall strava shoot-out competition, I knew immediately that I was going to take it back at some point. I expected that I would have to try several times, but I ended up getting it back on my first try today. The video below is a bikecam video of the entire KOM effort, including the Dashware overlay of power, heartrate, speed, and cadence (the colored bar that circles the power readings). Shortly after the KOM effort ended, I tried to avoid a garbage truck by riding through some grass onto a sidewalk. The grass was deeper than it looked hiding quite a concrete lip on the edge of the sidewalk. So when I rode onto the sidewalk, I didn’t try to bunny hop onto it and I ended up pinch flatting my front wheel on the lip. I had left my phone, tools, tubes, and pump back at the house to save weight for the KOM effort. My only hope was to hitch a ride with somebody back down the mountain. Fortunately, Mike Davies from Richter Landscape Company happened to be driving by in his work truck, and he gave me a ride all the way back down to my house. Huge shout-out and thanks to him … if you live in Hoover, Vestavia, Mountain Brook, Homewood, or Birmingham give them a call at 205-942-1555 to come landscape your yard!!! After changing out my front wheel and uploading my ride to strava to see if I had gotten the KOM, I headed back out still planning to do another 90 miles or so out to Emerald Lakes to explore the climbs that I had discovered on my way out to Cullman on Christmas. About 10 miles into that ride, I had another flat. This one was from a pretty worn spot on the rear tire – so I put in a $5 bill to boot the tire and limped home after changing the tube. By this point in the day, it was too late to try again to make it out to Emerald Lakes — so I decided to do some climbing in Mountain Brook. Along the way, I made this video of the European bypass road (Old Brook Trail) reflecting on April 27th when the tornadoes came through the area. After climbing over in Mountain Brook, I headed home just in time to meet Kristine and the kids coming out of the woods on their walk home from school. Later in the day, Josiah and I had a boys’ night out at the Lego store monthly free lego night while Kristine took Analise to gymnastics. All around, it was a great day! This entry was posted in Training and tagged kom, strava on January 8, 2013 by kartoone. Brian, that was fun watching you fly through the same roads I drive on nearly everyday and occasionally attempt to ride. You got pretty lucky on the 3 way stops in Tanglewood and the 4 way going across Shadescrest. I’m assuming if you’d had to stop at Shadescrest you wouldn’t have made the time. Thanks Chris – yeah I definitely got lucky with the stop signs. There’s a few where if you had to wait on a car, it might only cost you a second which you could use for recovery and make up for later. But there are three stop signs that if you cannot run them, you will lose big chunks of time … the one at the bottom of morningstar, the one right before the steep curve up towards the country club, and the one you mentioned (Shades Crest). If you miss any of those, then you lose a lot of momentum. Doug Robinson is the cyclist that introduced me to your biking accomplishments. He is my always faster stronger rider i have been trying to keep up with on evening rides around town. 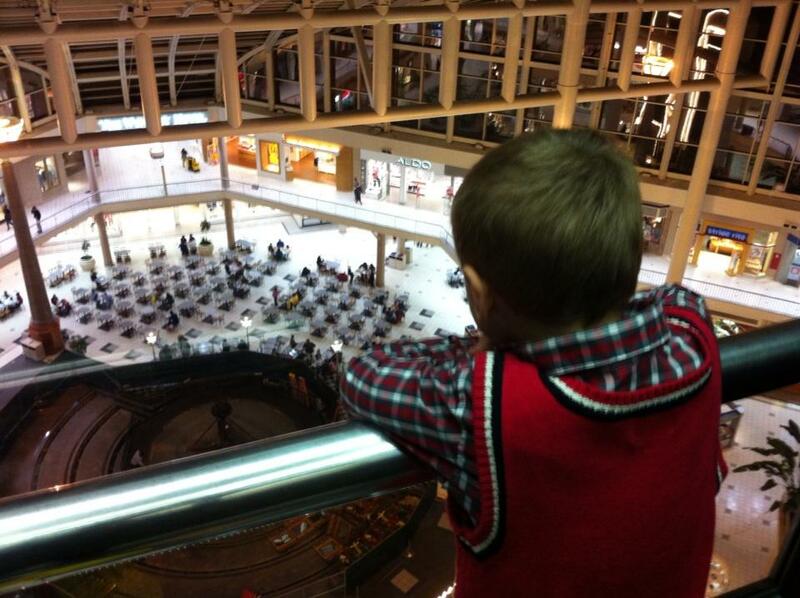 what he said about you…. and being man from Bham? It sounded a bit mythical, like a one legged brick layer who pedals with a stob, cleans old bricks all day, and lays them in the moonlight. I see however it is true. Since it is true, my perspective on the universe is changed for the better. The intensity of your storytelling matches your emotions and kinetic energy, sharing the fears for your kids and avoiding death tgrough total atrentiveness and conversing at point of effort when most cyclists could not dream of speaking or thinking. I got to ride with you on one BBL ride in 2012 on a cold windy Saturday. I kept up but had to take the short route back because of a slow leak. I’m 50, and trying and I hope I can ride with you on a recovery ride or another non KOM event. If I do or don’t its amazing to ponder what you do on a bike. I can’t imagine adding, carreer, family, eating, sleeping to your day. More and more health and vigor, motivation and rewards to you.